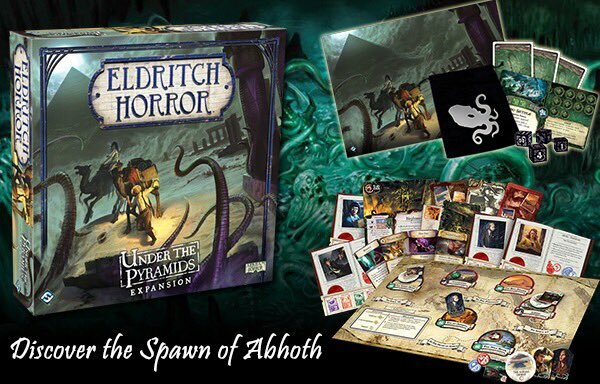 Adding 6 new locations to the original board, this expansion is a must for fans of the Lovecraftian horror board game Eldritch Horror. Players must work cooperatively to solve international mysteries, fight Cultists, and prepare against the rise of Ancient Ones. This expansion takes players to 1920s Egypt and introduces new spells, curses, investigators, and plenty of monsters to keep players on their toes and coming back for more!